A collection of dinner menus sold at auction at Christie's in New York on Tuesday were handwritten by artist Zhang Daqian. Work by a famous artist can command a huge price－even if it's a stack of dinner menus. 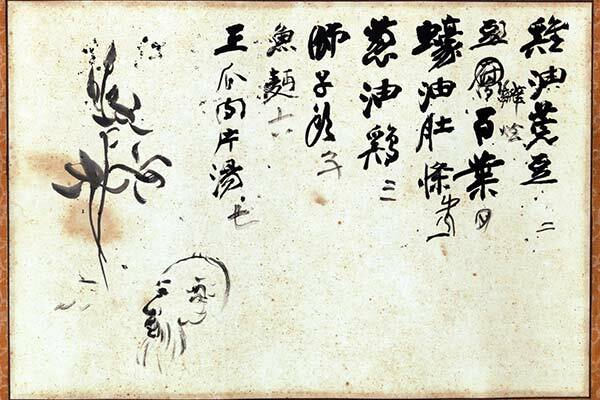 A collection of handwritten menus by the prodigious Chinese guohua (traditionalist) painter Zhang Daqian was sold at Christie's in New York on Tuesday for about .2 million. Zhang was a committed foodie who would meticulously hand write menus for his private chef. "Today Christie's sold in our March New York auction of fine Chinese paintings all the menus handwritten by Zhang Daqian. The total price was more than eight times the combined low estimates," said Elizabeth Hammer, head of sales for Chinese paintings at Christie's. "These listings of Zhang Daqian's favorite dishes were given to Hsu Minchi, who worked for Zhang as his private chef in Taiwan from 1977 to 1979," Hammer said. The auction was part of the celebration of Asian Art Week this week. Zhang (1899-1983), born in Sichuan province, was also an expert chef and "known to be a real gourmand", said Jennie Tang, a specialist in Chinese paintings at Christie's. "He loved food and loved painting food and considered cooking a form of fine art. "He was known to tell his disciples that it was impossible for a student who 'does not appreciate cuisine to really understand art'," said Tang. "Looking ahead to dinner, he would write down exactly what dishes he wanted to eat that night and give it to his chef to create." In his paintings, Zhang often depicted humble fare such as mushrooms, carrots, asparagus, persimmons and mountain vegetables. "Zhang Daqian treated me like family, and we would eat together for almost every meal I cooked," Hsu said in an interview with Christie's. "Because Zhang was such a foodie himself, he was not shy about critiquing my final product and would make recommendations on how to improve each dish. He treated me like one of his elite art students and took time to teach me calligraphy." Hsu began working for Zhang as his private chef soon after the artist moved to Taiwan from Brazil. Hsu had just completed culinary training and was introduced to Zhang through a friend's father, who was studying painting with him. All of Zhang's works on offer were sold at the auction, including his Bodhisattva, which commanded 8,500 despite estimates it would sell for 0,000 to 0,000.